There is much more to Preston than his spectacular calves! Follow his training regimen to find balance between brains and brawn. 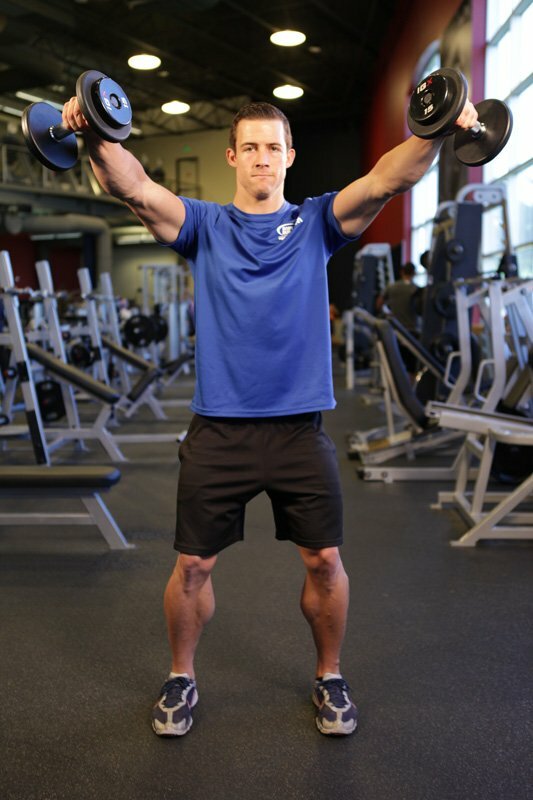 Sure, genetics help Preston Noble display calves that seem carved from clay, but those pillars of his strength are also products of one of the meanest calf training regimens this side of the Olympia. Preston changes his routine every month, and for good reason! 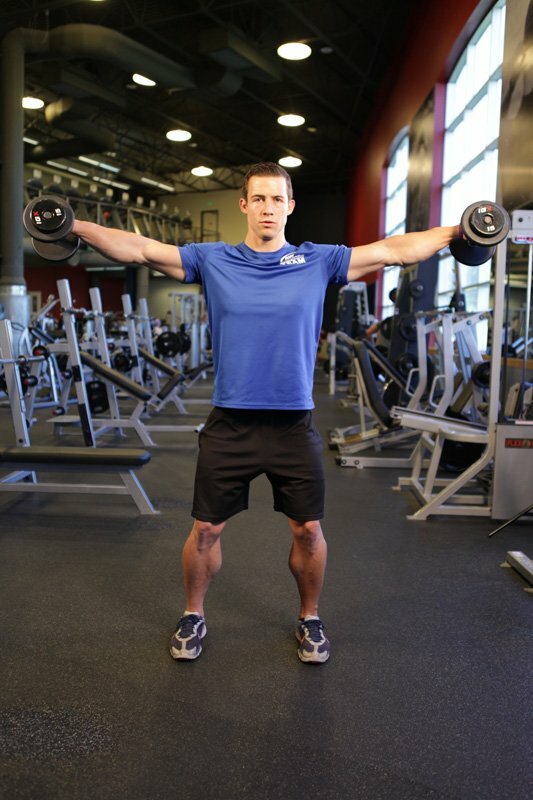 The workout he describes could peel paint off a Cadillac. The Saturday workout is a combination of the Tuesday and Wednesday workouts, but he leaves nothing out! He blasts through 22 exercises, almost 60 sets in one fast-paced slobber-knocker of a plan. But, who knows? Next week he may be on to something else. Preston does six days per week of training, six days of cardio and one lovely day of rest, when he worships, catches up on sleep and nurses his wrecked muscles. Even with all that work he does, he manages to get in and out of the gym in an hour and 15 minutes. Before he started bodybuilding, he'd languish in the weight room for 2-to-3 hours. Now, with his intensification policies, Preston gets better results in less time. After he finishes crushing each body group, he adds a dropset with a 5-to-5 tempo (5 seconds down, 5 seconds up), just to make sure he rips all the guts he's got. "I know a lot of people already incorporate the 5-second cadence going down, but the hardest part is going slow on the way up. It's a light weight, so you know you can just put it up. It's just having that patience and discipline to just sit there and let it burn and rip." Preston is smart enough to know when his body needs a new spark. Before his body has a chance to adapt, he pummels it with something new. He said he's yet to encounter a plateau, and the evidence is obvious. He even tried Bikram hot yoga to lean out and shred up. Every workout I do, I keep the sets and reps the same: 3 sets and 12 reps. I add in 1 dropset at the end, when I am completely done working out a muscle group. This dropset is done on a specific machine so as not to tempt injury. For example: After I am completely done working legs, I do my one dropset on the leg press machine. This dropset I lower the weight by 50% and I aim for my normal 12 reps. The difference is, I do the reps with a 5-to-5 tempo (5 seconds up and 5 seconds down). I never fully extend my legs and never let the weight drop back to touch, which makes sure the tension is never taken off the muscle for the entire 2-minute duration. I use 1-minute rest intervals between all sets. 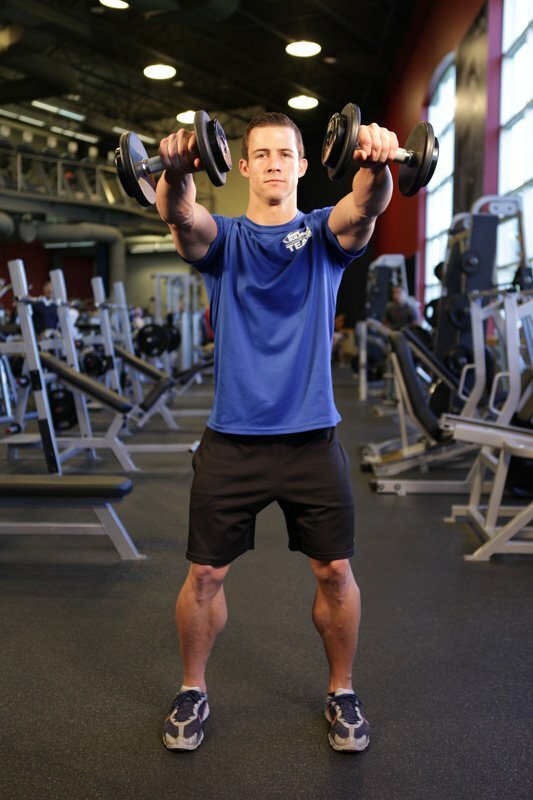 I do a 5-minute warm-up on the stair climber or row machine every day before my workout. Indoor: Interval lunges on the treadmill: 20-to-30 minutes - 1-minute walk at 1.8 speed on an uphill climb of about 12, then every other minute I do lunges on the treadmill. I recommend holding on to the sides; it's a little hard to balance your first time. Perform on a exercise ball doing crunches and leg extensions. Facing the ground extend arms out as far as possible. To Failure. Note: All exercises are done with 75% of normal weight and 30 sec rest intervals instead of 1 minute.